Montauk is one of the most popular places to visit in New York. It is very scenic and has some of the best scenery of the whole north eastern United States. There are a number of different hotels and motels in Montauk. Montauk is a popular vacation spot and has just about every type of lodging that one could ask for. There are small mom and pop establishments and even some larger luxury resorts. One of the most invaluable tools to use is the internet for your all of your vacation needs. If you shop around online you can find the best possible deals. Know when your vacation will cost the least. Vacation costs vary exponentially depending upon the time that you book your vacation. The idea of on and off season varies from location to location. In Montauk the busy season is generally between late June until around Labor Day. But, most companies open their businesses in April or May and stay upon until closer to the end of the year. This is very important information to have if you're thinking about booking your vacation. Avoiding major holidays is a good way to have a less expensive vacation, but in some cases it is the only time that the whole group of family will have off of work and be able to spend on vacation. If you are able to be flexible about your vacation then you can invariably pick a time that will cost less. Knowing what time of the year is a mix between common sense and local business trends. IN order to find out more information on when will cost more you can use online resources to compare hotel, motel, and vacation prices from different times of the year. There are certain times when it is not reasonable to book a vacation to Montauk. This is because the coldest winter months if the year are not practical times to spend in the north east. Since this area has a lot of snowfall vacationing in December of January would not be practical. This is why many businesses, specially hotels, motels, and bed & breakfasts are closed for several months out of the year. There is no fun to be had if you are snowed in for your entire vacation. Luckily most Montauk businesses are not open in the worst times of the year. But, just keep in mind that in the north eastern United States it is not uncommon for it to snow in spring and autumn. The internet is another great resource when it comes to weather. Not only can you look up forecasts, but you can check out trends in the weather over the last several years in order to estimate the what the temperature will be during your optimal vacation time. The cost of booking your vacation will vary greatly depending upon when you book it and how far in advance you make reservations. This is easily exemplified by using many different websites. These sites can give you a quote of how much you can expect to pay. To see how big the difference really is try to check rates next week compared to next month or several months down the road. You may be shocked to find out how much money you can save by giving a little bit of advanced notice. If you're thinking about going to a smaller location that may not be able to be booked via a large chain website you can check with them directly. Many times you can check with local businesses either by their website or by giving them a call. It is a pretty common question, so you shouldn't feel awkward about asking them for what time of year will be the cheapest. Certain holidays, such as national holidays that most everyone has off of work will have higher rates for lodging. This is simple supply and demand, so if you can avoid traveling on major holidays it can be a good way to save some money. 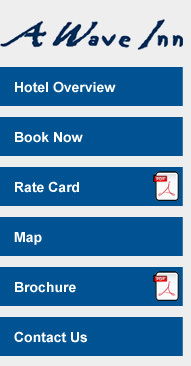 So, if you are thinking about checking out motels in Montauk be sure to use the internet as a resource. This can save you an invaluable amount of time and effort and help you find the place that best meets your needs. Whether you want to save the most money or get a place that can accommodate your special needs there are specific Montauk hotels that can accommodate.